What is the Centre for Strategy & Governance? CSG professionals are available to take on board and statutory appointments, undertake reviews or to provide ad hoc mentoring and advice. Members each work on their own, contracting directly with the client department or agency. CSG members are based in Canberra, Melbourne and Sydney but regularly work on boards and assignments throughout Australia and across the region. Although each assignment is treated with the utmost confidence, CSG also provides a network of colleagues whose knowledge and experience may be drawn on as the need arises. More detailed information on each of our Members is available at Our People. The Advisory Board serves in an honorary capacity and provides guidance on the role and operations of the Centre. Tony Blunn served as Secretary of a number of Australian Government Departments including Attorney-Generals, the Department of Social Security, the Department of Arts, Sport, the Environment, Tourism and Territories and the Department of Housing and Construction. Since retiring from the Australian Public Service Tony has served in a number of Board positions including as the Chair, Code of Banking Practice Monitoring Committee, Chair, the National Institute for Governance. Wendy Craik has considerable expertise in natural resource management and environmental issues and public policy more generally. She is currently chair of the Climate Change Authority and the NSW Marine Estate Management Authority, Deputy Chancellor of the University of South Australia and on the Board of the Australian Farm Institute. Former positions include a Commissioner with the Productivity Commission, has held many senior positions including Chief Executive for of the Murray-Darling Basin Commission (MDBC), President and Member of the National Competition Council (NCC), Chair of the Australian Fisheries Management Authority (AFMA), Executive Director of the National Farmers Federation (NFF) and Executive Officer of the Great Barrier Reef Marine Park Authority (GBRMPA). She has worked as a consultant for ACILTasman and been a director on a number of boards. 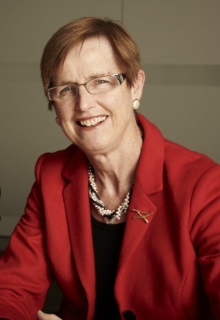 She is currently a Board member of Dairy Australia, Chair of the Australian Rural Leadership Foundation, Deputy Chancellor at the University of South Australia and Chair of the NSW Marine Estate Management Authority. Wendy was awarded the Member of the Order of Australia in 2007 for service to the natural resource sector of the economy, particularly in the areas of fisheries, marine ecology and management of water reform, and for contributions to policies affecting rural and regional Australia. Greg Taylor has had extensive experience with the interface between administrative and political government, across a wide span of policy and administrative issues and a broad range of agencies. He has held senior positions in the Commonwealth Treasury, the Office of National Assessments and the Department of Prime Minister & Cabinet. He was Chairman of the Industries Assistance Commission, and Secretary of the Commonwealth Departments of Employment, Education & Training, Primary Industries & Energy, and Industry Science & Tourism. He was Executive Director for Australia at the International Monetary Fund, representing also a range of other Pacific & Asian countries at the IMF. Greg has held a number of directorships in both the public and private sectors. He is currently a Director of TFG International, Chairman of the Australian Mathematics Trust, and Chairman of several private sector companies in PNG.